This card is number 6 from the Base set from 2016-17 Upper Deck Artifacts Hockey. Team - New York Islanders. Team: New York Islanders. Sport - Hockey. 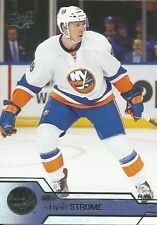 Find More Hockey Cards Here! Manufacturer - Upper Deck. Welcome to PC Hockey Cards. Shipping on all cards is as follows:$1.00 to anywhere in Canada . Pay the shipping once as multiple cards will be shipped at no additional costs. 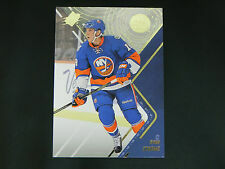 Anthology Hockey 2015-16 - Double Coverage - Nelson/Strome - Jersey /99!! 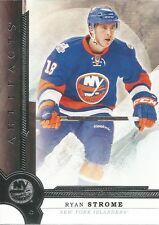 2015-16 Upper Deck Artifacts #61 - Ryan Strome - New York Islanders. Welcome to PC Hockey Cards. Shipping on all cards is as follows:$1.00 to anywhere in Canada .